The goal of today's closet consultation was to go through clothing, shoes, and accessories and make decisions on what pieces my friend would keep, give away, and what items she still was not sure of. My personal goal was to utilize the stand-alone closet to house all her most worn/loved items for easy access dressing; allowing her to grab her choice pieces easily. 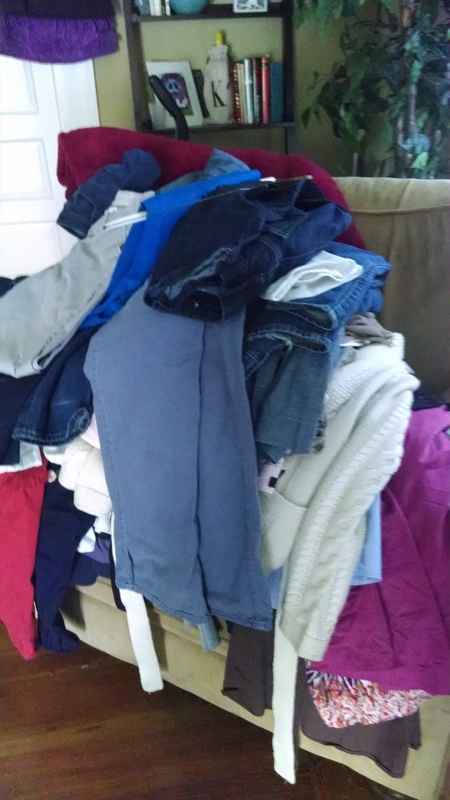 Since she had a side closet, we would also purge and reorganize that in a more functional way. 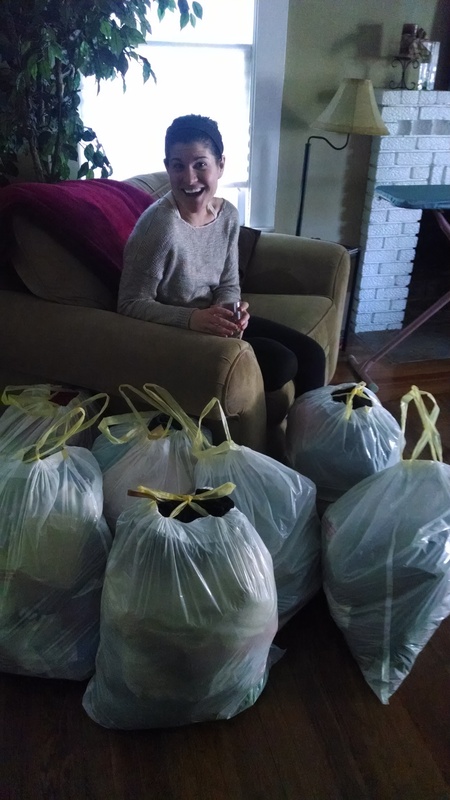 Once the purging began, my friend was able to make quick decisions and sky-high piles of clothing donations. While she tried clothing on, I worked to hang and organize her "keep pile." I focused on accessibility, grouping things that were alike so she could really see what she had, and clearing any clutter that would get in her way or cause stress on busy mornings. 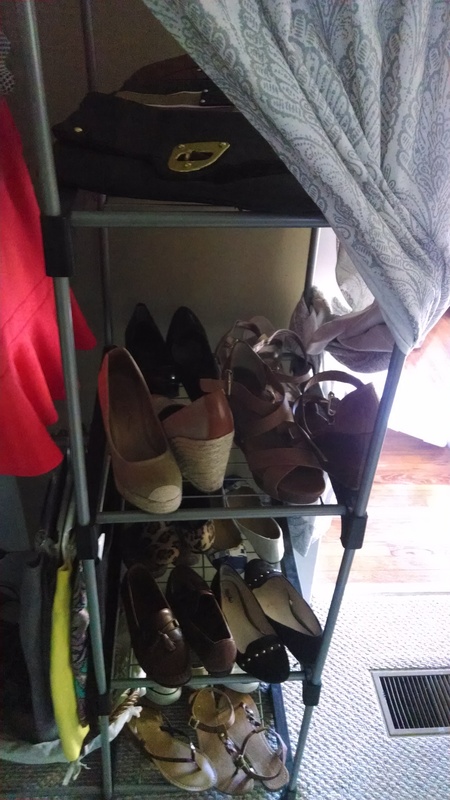 She managed to empty her entire door shoe organizer (whoooo another goal I had for her! ), clear off this top shelf, and house all her dresses and jackets together. I utilized her main closet shelving for frequently worn shoes and clutch purses. All while keeping her floor clear and her main closet grouped by style of top and all her bottom options. And finally, the proud purger and her hard work.